GSoC mentor summit and FUDCon Pune. This has been a long time since my last post. I was being lazy. This summer, I and Mario decided to work on Fedora Medical, and it was accepted for GSoC. We received quite a few applications, but Ankur was chosen because he was already a package maintainer. The whole thing went reasonable well, we got a number of medical packages in Fedora. That said, I am very disappointed that there is no talk scheduled (even proposed) at FUDCon Pune. it was well attended. Some of the talks that I attended were very interesting, such as LHC guys describing crowdsourced simulators. The better part was chocolate. 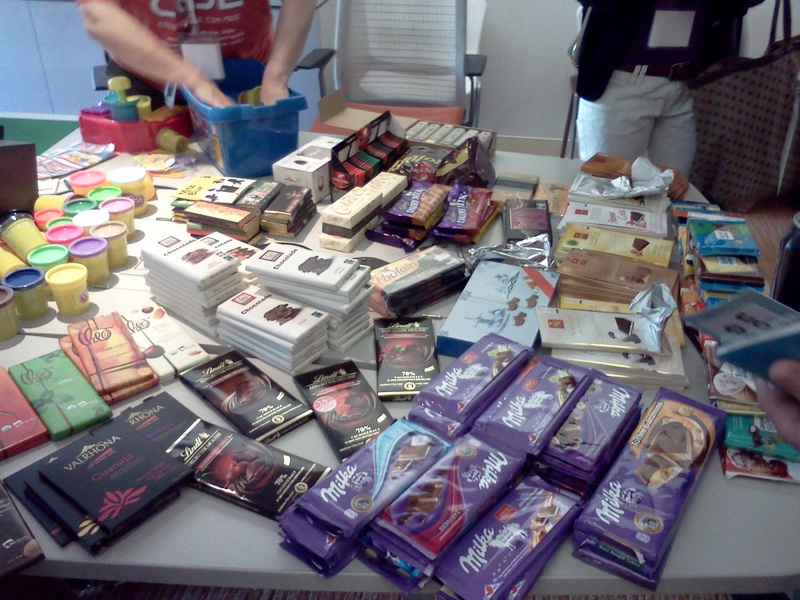 Thanks to the fellow mentors, there was a pile of chocolates. I have never seen or tested so many varieties in my life. The food was also very good. My only regret is that I could not see the computer history museum which was five minute s walk from the venue. The conference ended on Sunday, and my flight was on Monday evening, so I decided to be an expert in SFO public transit. I took the caltrain, MUNI, F line trolley, Cable car and finally BART. I am not sure of there is any other type of rail transit there. I wandered around the whole day before heading to the airport. Among other things, one day to go for FUDCon pune. I wished so much to be there, but that was not to happen. The organisers did a fantastic job in setting it up and I am sure it would be one of the finest FUDCons . The schedule looks awesome. 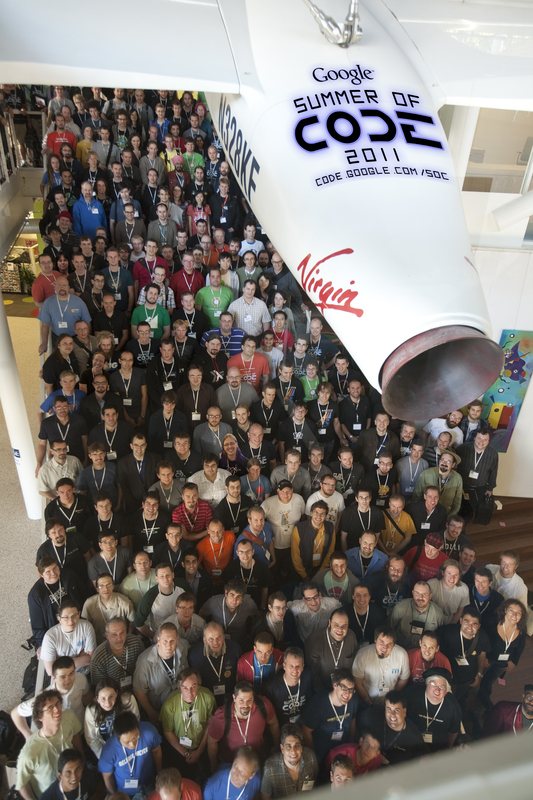 Comments : Comments Off on GSoC mentor summit and FUDCon Pune. Public domain OpenOffice label templates. This website is immensely useful for printing labels from OO/LO. To make it even sweeter, these documents are ODF, and licensed under Creative Commons Public Domain License. Comments : Comments Off on Public domain OpenOffice label templates. [Looking for students] GSoC 2011 and fedora-medical. It is official now. 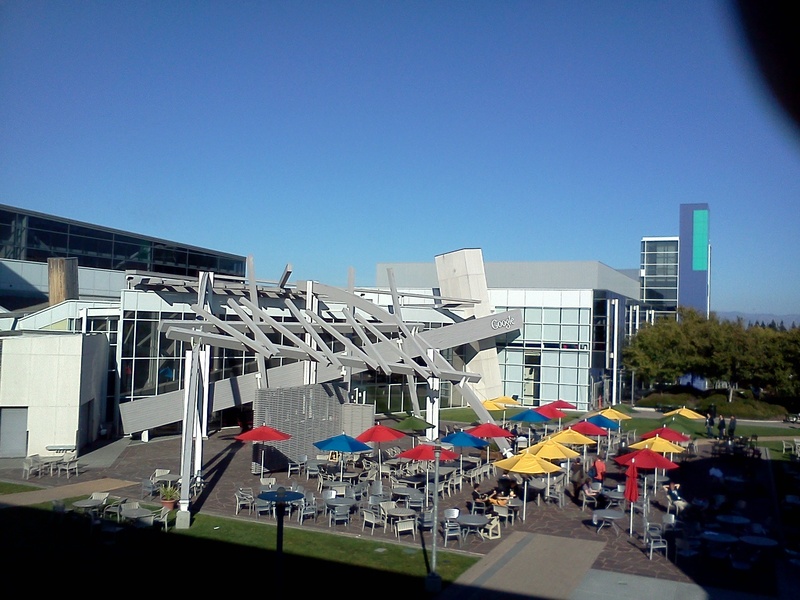 Fedora will be a mentoring organization for Google Summer of Code 2011. This summer, I am looking for mentoring one/two students who can help me with fedora-medical. It would be a nice opportunity to work on something really interesting, get paid a handsome amount of monies and build contacts within the community and industry. If you want to know what fedora-medical is, a somehow short description for the project is on the idea page. If you want more details about fedora-medical and what we are working on, its on the wiki page. Unlike most other tasks, this is an in-progress task, we are already working on it and that means we know exactly what we are looking for. We will be doing lots of rpm packaging and we will also be creating tools for our workflow. We are a python shop, so python skill will be required. These are the things I shall be looking for. A few will be redundant, but worth mentioning. * Very good skill in RPM packaging. * Reasonable familiarity with fedora packaging guidelines. * Good skill in python and bash. * Familiarity with Fedora internals. (Here, I am referring to the OS). * Familiarity with Version Control Systems (We use git for most of the tasks) . * Familiarity with comps files, yum and fedora package management. That sounds very easy, right? Not really. Turns out that most of the medical software are very hard to package and most of them have recursive dependencies that need to be packaged beforehand. It is not that they are not doable, but they need lots of work. But once done, this will be something that will be really useful for everyone. You won’t work alone, we will continue to work on this. I am already getting mails from interested students and I am very happy about it. If you are interested in working with me, please drop me a mail at susmit at fedoraproject dot org. Let’s stop fighting, fedora community. It’s deeply disturbing to see “us” fighting each other. There is no reason to believe people are angry for nothing. There is something that’s not going well. But, let’s stop calling each other names, which is making things nastier. For a moment, let’s set aside all the politics, ego and tensions prevailing in the community. Let’s take a step back and let’s see this with a stupidly simple view. Contributing to fedora is fun for only one reason, everyone who has an idea can pursue it. Right? Most of the people in fedora community are extremely talented people and many of them don’t get paid for what they are doing. Except for a lucky few, this is true for people within and outside RedHat. Still people contribute, not because they have nothing else to do, but because they love fedora and it’s another way of expressing themselves. It’s pretty normal to get angry when one is stopped from expressing what he/she likes. I have seen the project growing, with more people, came more number of steps to ensure chaos does not happen. This slowed down all the people and ensuring exactly the thing we wanted to avoid, chaos. Reduce the bottlenecks. I have been pushing this for long, but which have not happened so far. Whenever you make someone wait in the queue for weeks, it takes the fun away and make them angry. Try to take decisions as fast as possible. It takes a lot to gain trust. So, people who are unknown to the community, are not trusted. If people feel that the decisions are coming from people whom they don’t know, there would be grudges, even if they are people form another FOSS community. Run every decision through the community. Not that I love long threads, I hate them, but that is the only way to keep community informed in such a huge, global and diverse community. If you can not convince majority of the community, it is not good for the project, no matter how brilliant the idea is. Most importantly, let the community decide what they want to do. What does that exactly mean? Whenever someone is standing up and trying to do something, the default choice should be “yes” instead of “let’s review” or “this is not our policy” or “this can not be done for this reason”. Comments : Comments Off on Let’s stop fighting, fedora community. Fudcon Tempe flickr pool..please add your pics. 26.50 USD, fedora-medical tracking bug, package reviews, and FUDCon. Day 2 at FUDCon turned out to be a productive day. I decided to go shopping for some hands which can help me with the medical spin. The lightning talk went well and was well received. As I mentioned, the main problem with this project right now is packaging and package reviews. Christoph added a tracking bug for fedora medical in bugzilla, which will be very helpful. After the talk, I sat down with Christoph reviewing packages and learning tidbits of packaging. Adamwill and Tim joined us. It was an afternoon well spent. It took a long time to review things, but I learned quite a few things. On the QA part, Adamwilll pointed out that Robatino produces the deltas for (N-1) Final -> N Final, so one need not download the whole ISO again and again, which is not easy in most of the places. This is something I was thinking for a long time, and I am happy now. In the evening, Herlo gave me lots of Fedora Media and Case Badges, which will be very useful. It’s a pity that I had to come back to Fort Collins today and could not attend the hackfest, but it was very nice to meet old friends and meeting all the people I have talked over IRC. Hope we will meet again. A big thanks to FUDCon organisers, who did a fabulous job. Lastly, I took quite a few pictures, which I shall sort and upload by tomorrow. Comments : Comments Off on 26.50 USD, fedora-medical tracking bug, package reviews, and FUDCon. FUDCon Tempe is awesome so far. I have met many of the friends whom I have worked with and made a number of new friends. The day was opened by three generations of FPL and after a quick pitch, we moved to talks. I attended Fedora on ARM, took part in Board meeting (which IMO was very short but well discussed), Cloud talks, Security and Selinux talks. The lunch was very nice and I discussed some of the packaging tidbits over lunch which will be helpful for me. Finally the day ended with a long fudpub (kind of boring, nobody got drunk!) where we chatted and played some pool and again had nice food.